The hot topic of water coolers worldwide, Isagenix has been garnering a great deal of interest since its establishment in 2002. Isagenix is a US-based company marketing dietary and weight-loss supplements. They draw a yearly revenue in excess of $300 million, and employ over 200,000 sales representatives. Their advertising is heavy on testimonials, and they advocate ‘cleansing’ alongside their line of shakes, bars and snacks. Being an innate sceptic, I’m wary of any company selling food replacements for big bucks. Particularly when they use what I think of as ‘nothing’ descriptors, like nutritional cleansing, cellular replenishing, and youthful ageing – what do any of those actually mean!? Isagenix is what’s known as a multilevel marketing company – similar to Herbalife, a company that I’ve had my own negative experience with. This means that those distributing the products are nothing more than salespeople, often ones who have often been coaxed into the position to make a little extra money on the side from their day job. Nothing too wrong with that, except that they’re totally unqualified to be providing what’s essentially health advice – and they only make money on successful sales, giving them a vested interest in pushing the products on consumers. The products are marketed on the basis of shoddy evidence, all of which is drawn from self-funded, inconclusive and very short-term studies. Take this study for example, which examined weight loss in obese middle-aged women, by using a one-day-a-week intermittent fasting program. On these days, one group consumed an Isagenix shake, while the other group consumed the same number of kilojoules, but made up of normal food. Though there was initial advice given from dietitians, the remaining meal choice was up to the participants, and food intake was self reported. The results were positive for the Isagenix group, as they ended up losing an extra kilo compared to the control group, though it has to be pointed out that the Isagenix group actually consumed around 250 calories (~1000kj) less than the control group, accounting for the extra weight loss. There’s also a pretty big question mark around the idea that intermittent fasting was part of the research, considering it has absolutely nothing to do with Isagenix! Our bodies do not need to be cleansed. Contrary to the pseudoscience and scaremongering Isagenix employ, our internal organs will not “become clogged and deteriorate” if we don’t detox! Isagenix liken the human body to an air conditioner that needs its filter changed (via a cleanse, of course), but as I’ve explained before, our liver, skin, kidneys, intestines and lymphatic system all work to detox our bodies daily, and they do a great job of it. Isagenix is expensive. Purchasing a ‘suite’ of their products could set you back upwards of $500 for a months supply, and the trick is that you’ll have to keep paying for it to keep losing, or to maintain your weight loss. If something only works while you keep paying, is it worth it? The weight loss is circumstantial. As Isagenix involves replacing a number of meals with their own low kilojoule shakes, it’s unsurprising that weight loss follows. No miracles here, simply calorie restriction. What’s even in these products? According to Dr Harriet Hall, a self-confessed sceptic with a particular interest in debunking alternatives medicines, Isagenix have thrown in just about every nutrient and herbal supplement they could get their hands onto. Over 240 ingredients feature in Isagenix products, some of which are useless, some of which are potentially harmful – and as a mixture, there’s no way of knowing how they may interact. The products have not been evaluated by the Therapeutic Goods Administration, the Australian government body in charge of regulating medicinal products. What this means is that the products are unverified for safety, yet freely available to anybody. So, that’s how I see it. Sadly, the speedy weight loss, alongside (in my opinion) a combination of placebo effect and perhaps a boost in previously deficient micronutrients, are enough to have followers singing its praises. I love this article Felicity. I’m definitely a Isagenix skeptic and even more so after reading this! Thank you! It’s baffles me that people will fork out so much money for a “quick fix” solution when they could simply (and cheaply) just switch to eating more whole food and less processed crap! Thanks for your comment Brigid! Totally with you, I think the enthusiatic anecdotal evidence is often pretty convincing to those looking for that ‘quick fix’ too. However he will make a shake twice a day and cleanse, A huge improvement on what he is currently doing. 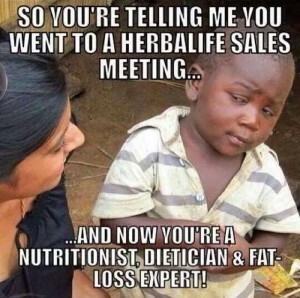 So please don’t try and tell me or others that Isagenix is bad…. GTFO. How dare you. Even if you have a different opinion what gives you the right to talk to someone like that? Dieticians are trained not to fat shame and understand that obesity is a complex issue. Maybe you would like to read some of felicity’s other articles? Maybe your “dietician” course didn’t cover professionalism? Felicity, I’m sorry that someone feels the need to respond to your (awesome) article in this manner. It just proves your point though! Now I don’t think these people are ISAGENIX trolls, I think they are who they say they are…. Andy – where did you do your dietitian course? I am genuinely sorry to hear that you lost both of your parents so young, but take this as your opportunity to honour them by caring for the health and well-being of those dear to you and encourage them to eat fresh organic non-GMO foods, to drink adequate pure water daily to flush the toxins from the body, and to stop wasting their money on the ISAGENIX garbage. If you were aware of just one-tenth of what I uncovered whilst a naive Distributor I doubt you would be able put the rubbish down your own throat again without puking at the very thought of how you have been scammed by the well-oiled marketers. I’d like to hear more about Sue learned.